Oh, and a good sense of humor…everything else we can teach.  Trelevate is hiring for entry level sales and marketing positions, working specifically with small to midsize businesses. 1. When there’s only one other person in the elevator, tap them on the shoulder and then pretend it wasn’t you. 2. Push the buttons and pretend they give you a shock. Smile, and go back for more. 3. Ask if you can push the button for other people, but push the wrong ones. 6. Stand really close to someone, sniffing them occasionally. Job hunting can be stressful, that’s why you shouldn’t take yourself too seriously. (1.) Start entry-level, develop a ton of transferable skills, work side by side w/ quality people, and the world’s leading corporations, advance to new positions, make money, and along the way figure out what you really want to be when you grow up. (2.) Start entry-level, begin advancing, become a company leader and never job hunt again. Trelevate works with Fortune 500 companies to help them acquire new business customers and increase their market share. We currently work with multiple fortune 500 companies in North America. We offer paid training and are looking for professional candidates who are team players to advance within our company. People often tell you how much they like you. You work harder than everyone you know. We plan to double in size again within the next year, and will only invest our time and training resources into those who will contribute to this growth. Make sue to share this great opportunity on Facebook, Twitter, Google+, and LinkedIn. I know that you are going to be tempted to keep this to yourself. Start working with great people: Apply today.